Are you ready for a new professional challenge? We welcome ambitious applicants with a commitment to excellence and a passion for learning. Bring your exceptional skills and innovative ideas, and in return we will help you take your career to a new level. At FUCHS, we strive for the best performance while giving you the space you need to develop and thrive. 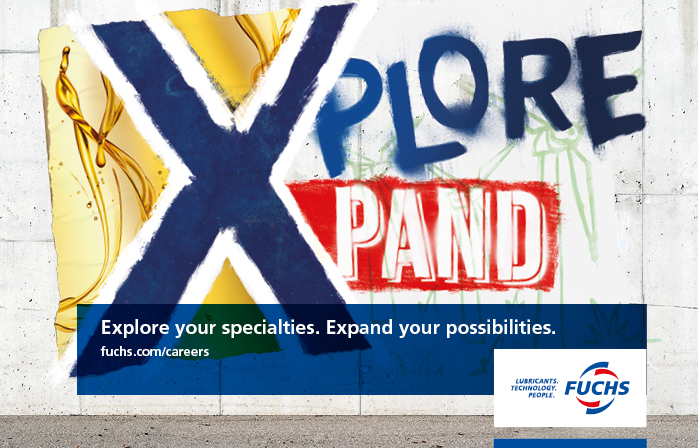 Expand your possibilities and create a bright future – for yourself and for us!